Sierra Sentinel News- Serving The Sierra Nevada Communities: Hey Trump! We need your WALL! Hey Trump! 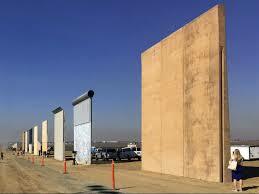 We need your WALL! We have a great place for your walls, especially if they are 30' high. Keeping out dangerous stinking racists and dirty cops and crazy gun thugs is more important than your hatred of those from south of the border.